Pain management is one of the most important facets of medicine available today. Countless Americans suffer from both chronic and acute pain issues, and struggle to live a normal life as a result. With the care of a proper pain management specialist, patients will be able to identify the source(s) of their pain issues, and through thorough testing, diagnostics, and treatment – they will be able to manage such pain issues and experience a vastly improved quality of life as they take part in their normal daily activities. Medication Management – Pain management through the use of prescription pain relievers. Some narcotic, OTC and Holistic medications. Physical Therapy – Using physical therapy techniques, performed by a licensed therapist in order to better equip the body to manage pain, and find relief. Psychological Management – For those who might be dealing with mental issues that are affecting their physical pain. For chronic pain patients, Interventional pain management can often be the cure-all they need. While other aspects of pain management will focus on prescription medication, interventional pain management utilizes more therapeutic techniques such as, RF (radiofrequency) Therapy, electro-stimulation therapy, and injection therapy, to help alleviate pain. Injection Therapy – Most injectable measures for pain management are known as nerve blockers. These injectable treatments provide patients with temporary pain relief, and will often contain powerful medications such as steroids, or opioids. These are generally injected at the site of your nerves, blocking them from feeling pain. A common injection is an epidural steroid injection, which is most often performed into the lower spine area – sending steroids directly into the nerve’s root – ceasing the feeling of pain within the patient and correcting any inflammation. Other common injections are facet joint injections, single nerve root blocks, and sacroiliac joint injections. 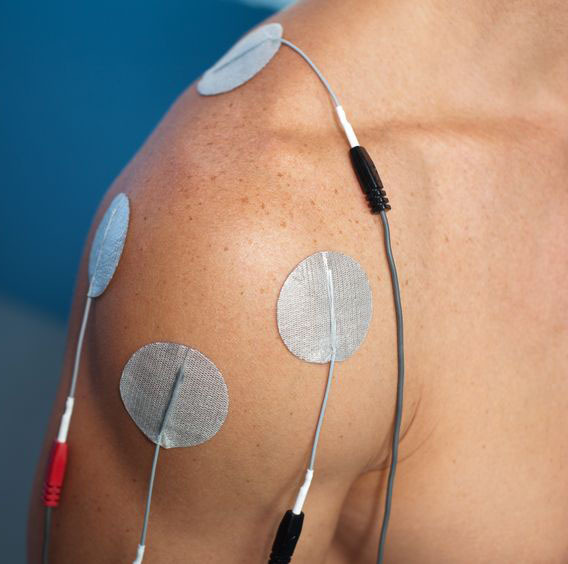 Electrical Stimulation – A type of neuromodulation, electro stim therapy as it is sometimes called, works by sending electrical stimulations to the site of the main. For instance, if you were to have muscle pain along the calf, then an electro stim device would be used to send electrical pulses directly into the calf muscle. In other instances, the electrical pulses can also be sent into the brain, spinal cord, and different nerve sites. An electrical stimulation device can also be implanted within the body, if the patient is suffering from chronic pain at a specific site for much of their lives. Radiofrequency Rhizotomy – This treatment uses RF (radiofrequency) energy, to stifle the nerve’s ability to send pain messages to the brain. Guided by an X-ray, the doctor will use a needle with an electrode tip to heat (using RF energy), to prevent the nerve from being able to communicate with the brain. This technique has a high success rate, often leaving patients pain free from 6-12 months, during which physical therapy is often recommended to assist in the pain relief. Cancer pain can occur as a result of a number of different forms of cancer, or as a result of the cancer treatment (ie. chemotherapy). For those suffering from pain issues as a result of cancer, or cancer treatment there are also a number of methods that may help you find relief. From prescription or holistic medications, to physical therapy, and injections – depending upon the source of your pain we will help treat your pain issues, so that you may enjoy a newly improved quality of life. For more information about how we can help you alleviate both chronic and acute pain issues, and vastly improve your quality of life, contact us today.